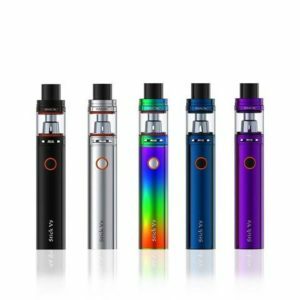 Smok has been focusing on the ultra portable vape market over the past year. 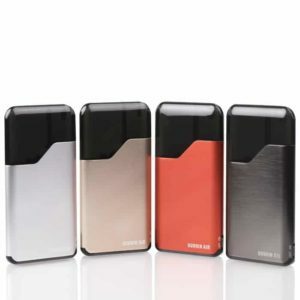 Their latest effort is the Smok Trinity Alpha 25w Pod System. This pod mod kit comes in a resin version with the color options being: Prism Chrome, Black, Red / Yellow , Blue, Rainbow, Gold, and Green. 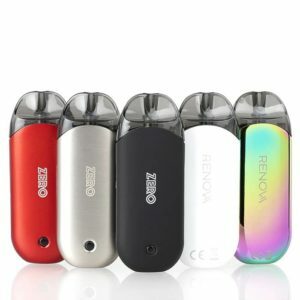 With a similar and familiar design close enough to the Lost Vape Orion Pod Mod most of you are already familiar with the natural feel this pod mod will have in your palms. The Trinity Alpha Pod Mod weighs in at 90 grams with dimensions of 91mm by 38mm by 16mm. It’s integrated 1000 mah battery is a class leading power source. With a resistance range of 0.4 ohms and 1.4 ohms this can either be a cloud chaser or a flavor chaser experience. The integrated power modes include soft, normal, and hard for you to choose from. 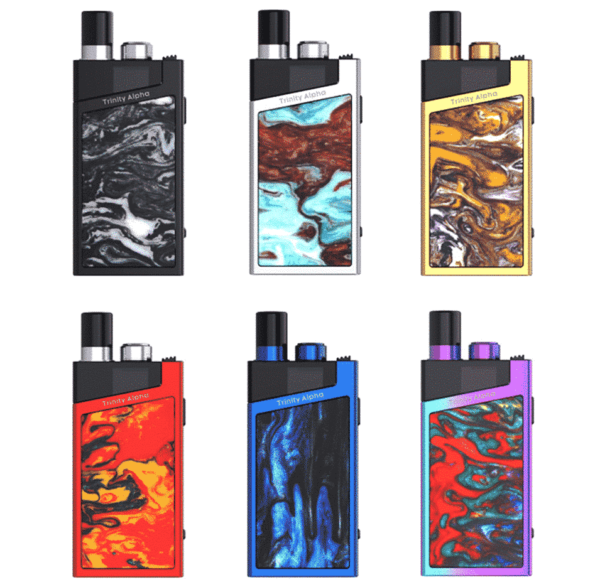 The 2.8ml capacity of vape juice capacity makes the Trinity Alpha Pod Mod a contender for best vape product of 2019. For more information see the specifications listed below.